A feature-length documentary sharing Rick Doblin's 50 year journey to legalize psychedelics, starting with MDMA to treat PTSD. When he was 18, Rick Doblin decided to become a Psychedelic Psychotherapist, but first he would have to change the law. To do so, Rick transformed from a college dropout with a pet wolf into a Harvard Kennedy School Phd grad, who wrote his PhD thesis on how to take psychedelics through the FDA approval process. Rick founded the non-profit MAPS.org and went on to raise over 30 million dollars to fund FDA approved clinical research with psychadelics . Decades later, MDMA is on track to become a legal prescription drug to treat PTSD and Rick's psychedelic dream is close to becoming a reality that could change the world of mental health and culture. A still from Prescription X with Rick Doblin at Burning Man. Photo by Nirvan. 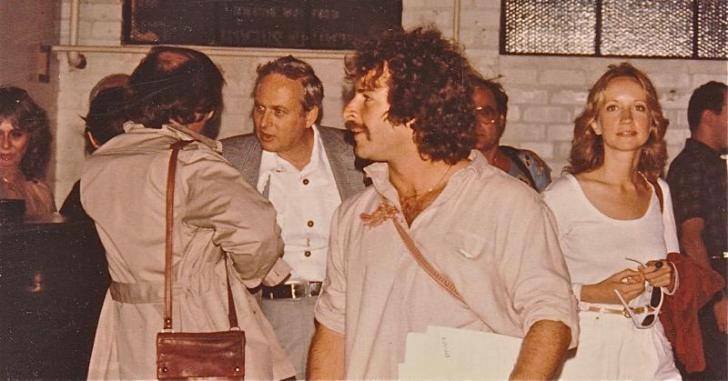 A young Rick Doblin at the 1983 Psychedelic Conference in Santa Barbara.